This building used to be home to Chester A. Arthur, a fancypants crony of New York’s Stalwart senator Roscoe Conkling and vice president of the United States. 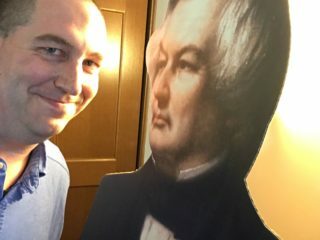 Boss Conkling had been at odds with the man who was technically Arthur’s boss, President James A. Garfield, and to show just whose side he was on, Arthur left Washington and returned to his swanky Manhattan pad to live it up. and have little to do with the Garfield Administration. At least until Charles Guiteau dropped by a Washington DC railroad station and shot President Garfield in the back. Guiteau claimed he was a Stalwart, like Conkling and Arthur, and that raised suspicions that he’d done the foul deed at Arthur’s behest. He hadn’t, but the vice president stayed at home, avoiding public appearances until the controversy died down. Unfortunately for him, controversy wasn’t all that died – President Garfield succumbed to massive internal infections almost certainly brought on by bad medical care, and so in September 1881, the mantle of leadership fell to Chester Arthur. He didn’t take the news well – Arthur’s first act as president was to lock himself in the bedroom and have a good cry, overwhelmed by the responsibilities that were now his. He finally composed himself enough to take the oath of office at 2:15 am, and he headed to Washington, where he won over a very skeptical public (and enraged Conkling and the Stalwarts) by running an honest and efficient administration. Arthur returned to Lexington Street after his term was up, and he died here in 1886. The building was later home to William Randolph Hearst, and eventually the owners converted into the mixed-use apartments + retail space building that it is today. (It’s also a private building; aside from the store, you can’t go in.) 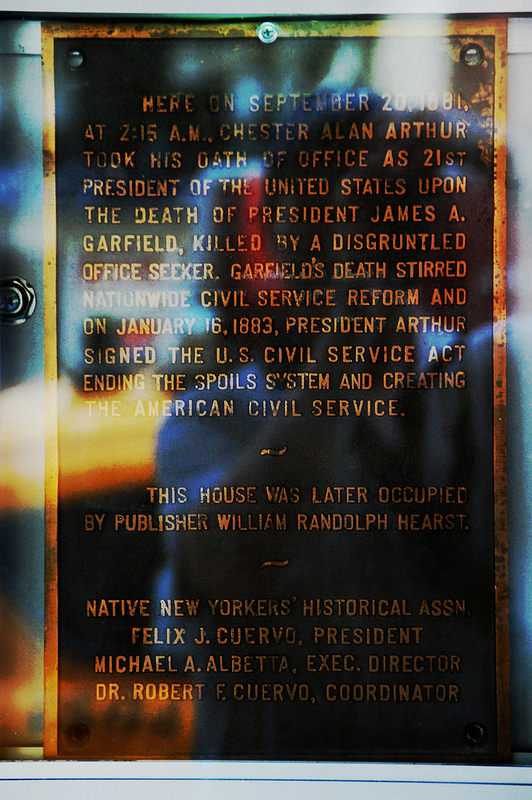 In January 1964, a group of New Yorkers marked the anniversary of Arthur’s biggest achievement in office, the signing of the US Civil Service Act, with a small plaque out in front – a plaque, by the way, that’s easy to miss if you don’t hunt for it; look to the left of the grocery store’s front door and you’ll spot it. (It’s under glass, because the plaque has been stolen twice before.) 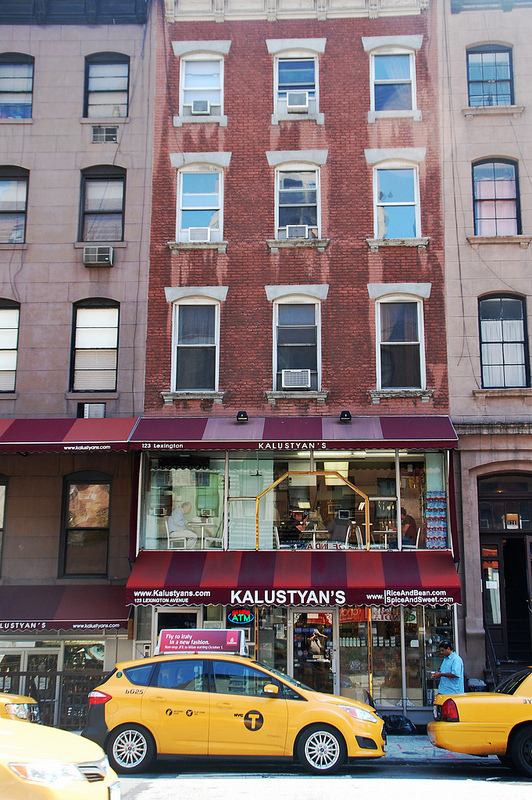 By then Kalustyan’s had been in the building for some two decades, so you hope they picked up some Turkish Delight or some dried figs on their way home.